Cirque du Soleil is thrilled to return to Allentown, PA with its coolest arena show yet—CRYSTAL. 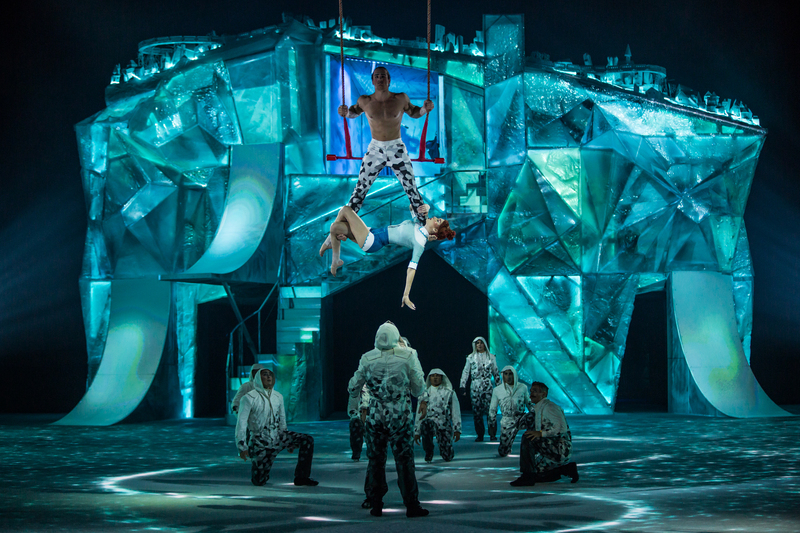 This one of a kind arena production blends circus arts and the world of ice skating in a stunning new production that will take the audience on a journey into a whimsical frozen playground where figure skating mingles with acrobatics and aerial feats. CRYSTAL will perform at the PPL Center from Wednesday, June 26 through Sunday, June 30, 2019 for six performances only. Tickets for CRYSTAL are now available online exclusively to Cirque Club members. Cirque Club membership is free. Benefits includes access to advance tickets, special offers, and exclusive behind-the-scenes information. To join, visit www.cirqueclub.com. General ticket on-sale for Philadelphia performances of CRYSTAL will be available starting Friday, December 14 at 10 a.m. Tickets are available for purchase online at www.cirqudusoleil.com/crystal. Wednesday, June 26, Thursday, June 27, and Friday, June 28 at 7:30 p.m.
Saturday, June 29 at 4 p.m. and 7:30 p.m.
Sunday, June 30 at 1:30 p.m. and 5 p.m. Previous PHILADELPHIA CHRISTMAS BAR TINSEL BRINGS HOLIDAY CHEER TO CENTER CITY IN FORMER JEWELRY STORE – BIGGER, BETTER AND MORE HOLIDAY BLING!